“Experience never gets old”, reads the tagline from the 2015 movie The Intern. In the film, Robert De Niro stars as a retired successful business owner who becomes a senior intern at an online fashion commerce startup run by a young and driven woman. While initially ignored by her, De Niro’s character eventually earns her friendship and respect. Given recent statistics about Singapore’s population, we will soon see more older employees like De Niro’s character at our workplaces. 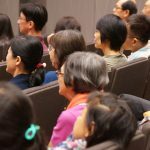 According to projections from the United Nation’s 2017 World Population Aging report, just under half of Singapore’s population will be at least sixty five years of age by 2050. This means that we will have to create more age friendly workplaces where seniors can work longer. To do this, employers need to capitalize on the strengths of older workers while addressing their unique needs. For too long, much of the conversation around older workers has revolved around the challenges and downfalls of working with them. Damaging stereotypes of older workers still persist, such as the perception that they are less productive, slow to learn and technologically inept. We have to reframe this discussion in terms of the potential of older workers. Many of them have a significant reserve of knowledge and experience accumulated over the years and can act as mentors and role models to younger workers. 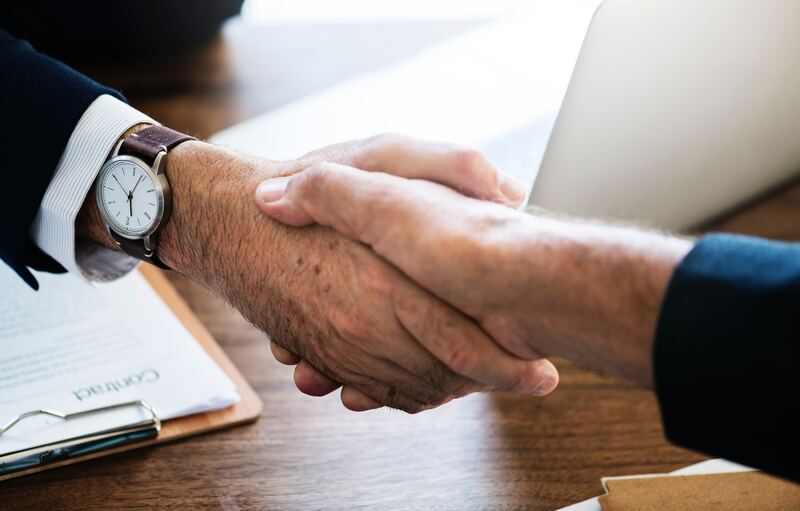 Professor Peter Cappelli of the Wharton School of Business has even shown that having older workers in the United States and other countries confers many benefits. Other research has also shed light on how seniors interact with information communication technology. To enable and empower older workers to contribute productively in the workplace, we need to rethink the designs of our workplaces. Since physical strength and speed, visual acuity, and auditory sensitivity may decline with age, ergonomic workplace designs will become increasingly important. Given how older workers, like workers of any other age, are an incredibly diverse group with different needs, it will also be necessary to apply universal design principles to promote health and safety for workers of all ages. As an example, let us look at workers in an office setting. A sixty year old employee usually has smaller pupils and cloudier lenses than a younger one, hence, less light reaches the back of their eyes. Here, brighter lighting might not be the best solution; a 2013 Philips survey has found that personalized lighting technology can be very beneficial to workers of all ages. The company has already developed a connected lighting system that allows users to set their personal lighting preferences using their smartphones. In the future, the way forward in designing workplaces will not be to adopt a one size fits all approach, but rather one that gives workers the flexibility to adapt the workplace to suit their own needs. There are ample opportunities for innovation in the office setting. Consider macular degeneration, an age related condition where individuals experience vision loss in the center of their vision field. A company, Ai Squared, has created software that changes the display colors of a monitor so that individuals with macular degeneration have an easier time reading text. Needless to say, discussions about the aging workforce cannot just include white collar workers; we must address the challenges and opportunities for workers of other trades as well. To see how redesigning for an aging blue collar workforce can boost productivity, we need look no further than automobile company Bavarian Motor Works (BMW). In 2007, the company embarked on a pilot project to enhance the productivity of their production line workers, whose average age was forty seven. The organization made approximately 70 changes to the physical environment, including the replacement of cement floors with wooden platforms. This improved the productivity of older workers and reduced their absenteeism rates. This is just one example of how workplaces can be successfully redesigned to help older employees work productively. We need to expand and adapt these efforts to all other lines of work – be they food and beverage, transport, construction, or cleaning. In Singapore, many physically demanding jobs are often taken on by older workers. Data from the Ministry of Manpower in 2015 show that seventy three percent of cleaners and laborers and sixty six percent of machine operators and assemblers here are above fifty years of age. Here, technology can help reduce the amount of physical labour that older workers have to do. Older employees can be reassigned to tasks more appropriate for their capabilities instead. For instance, the National University Hospital uses automated trolleys to transport medicine in bulk. This improves productivity and reduces the need for strenuous jobs as workers can be deployed to handle the operation of the system instead. At Changi Airport Terminal 4, automated cleaning robots help ease the burden of older employees, who were previously tasked with cleaning 225,000 square meters of flooring. Earlier last year, The Straits Time featured an article about seventy two year old Mohsin Khan, a technician who has been working at Aerospace Component Engineering Services (Aces) since he was sixty two. He was able to do so because the company redesigned his job – lasers were installed to help him emboss 2D dot matrix codes on blank plates. This job redesign did not just help him; it has also boosted the company’s productivity by reducing embossment time by twenty five percent. Ultimately, redesigning jobs and tasks not only helps older workers with health problems, it also prevents younger employees from sustaining workplace injuries later in life. In the future, we will witness an increase in new types of technology that augment the physical capabilities of older workers. As an example, exoskeletons may soon help older workers boost their productivity while reducing their likelihood of injury. In the United States, Lockheed Martin, BAE Systems and other organizations have already developed a light exoskeleton that allows employees who handle heavy equipment to use them like they are weightless. At Tatsumi Shokai Logistics in Japan, employees use an exoskeleton to help them with their jobs, which involve constant bending and carrying of heavy objects. Perhaps some of the most exciting developments lie in the field of smart clothing and wearables. Stanford Research Institute (SRI) International recently introduced Superflex. This soft suit uses sensors to collect information on the wearer’s movement styles and habits, and sends supporting power to various body parts to help the wearer with different tasks. Contrary to popular belief, not all older individuals find it difficult to learn to use new technologies, as rising Internet usage rates by seniors show. The key to improving technology adoption rates is to provide formalized training and support. Companies can follow in the footsteps of corporations like Accenture and implement mentoring programs, where younger workers guide older employees to acquire important information technology skills and social media skills. To help workers who are less comfortable with new technology, employees could get interested workers started on new technology first and allow those who are more apprehensive to continue working with existing systems while trying out the new technology. Older workers, like many other consumer groups, desire a product that acknowledges their unique cultures, especially as populations become more diverse due to globalization and immigration. This article by user experience designer Jenny Shen provides interesting insight on the importance of adapting designs to match consumers and their cultures. Cross cultural design was a key topic at a Modern Aging workshop on March 10, 2018 titled “The Future of Work: Design for an Aging Workforce”. Participants learnt about various design considerations, including how ethnographic research benefits the design process. They also went through a design incubation process to help them refine their solutions for the aging workforce. This focus on sensitivity to various cultures is also one shared by teams selected for the Modern Aging program. 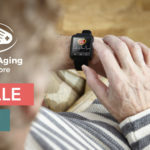 As fledgling startups take part in Modern Aging’s business development program, they conduct multiple rounds of interviews with potential customers to ensure that their product or service remains grounded in the needs of their targeted users. Ultimately, efforts to design for an aging workforce need to go hand in hand with other initiatives to make the workplace more inclusive. There needs to be a shift to more flexible workplace arrangements and a shift in attitudes about older workers. Seniors are talents, not liabilities, and it is time we take bigger strides to recognize that.